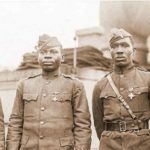 A visual history of African Americans in the military from the Revolutionary War through World War II. Photographs, posters and memorabilia from the collection of Vietnam Veteran Bertram C. Clark. 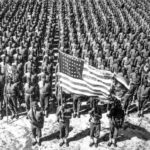 In celebration of the unsung African American heroes and sheroes — Americans who laid the foundation and paved and the path of freedom and democracy for African Americans and other people of color in today’s United States Armed Forces. The exhibit honors the strong and brave black and brown people who fought for the freedom — here in America and overseas. Concurrently, they were denied democracy, respect, human dignity and freedom in their own country. 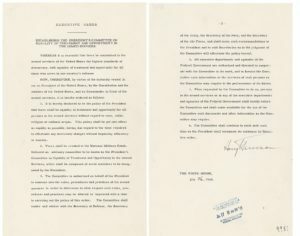 President Harry Truman signed Executive Order 9981: Desegregation of the Armed Forces on July 26, 1948 (3 years after WWII). 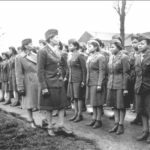 Prior to that date, African American men and women served our country in segregated but not with equal status. They were racially discriminated against and denigrated in many ways. Almost all dining, living, recreational, working and hospital facilities were segregated. 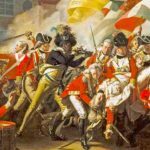 African Americans were often assigned non-combat duties which did not allow advancement in rank. They were routinely denied recognition, promotion, and honors. In spite of these hardships, African Americans served with dignity and the hope that courageous dedicated service would earn them respect and equal rights. Collector, historian and Vietnam Veteran Bertram C. Clark’s dedicates the exhibit to his grandfather and the millions of forgotten African American men and women who have served in America’s Armed Forces from the beginning. He is proud to share his collection which illuminates the African American contributions to America and to the global community. 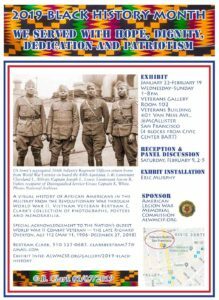 The exhibit includes a special acknowledgement to the nation’s oldest WWII Combat Veteran age 112 — the late Richard Arvin Overton (May 11, 1906 – December 27, 2018). Reception & Panel Discussion: Saturday, February 9th 2-5pm, Veterans Gallery, Veterans Building, 401 Van Ness Ave., San Francisco. About The Curator Bertram C. Clark, Jr. was born in Louisville, Kentucky. He joined the ranks of African American patriots who, since the birth of our nation, have accepted the challenge to defend American ideals. Clark served in the United States Navy from 1967 through 1969, active duty aboard the USS Furse DD882 and the USS Putnam DD 757. While deployed in the Gulf of Tonkin, he saw combat in Vietnam, aboard the USS Furse DD882. Stationed aboard the USS Furse — Clark’s service took him to Panama, Mexico, the Philippine Islands, Guam, Japan, Hawaii, the Midway Islands, and Hong Kong. Upon Mr. Clark’s release from active duty in 1969 he returned home to Louisville. He attended the University of Louisville for a short period before living in New York and Philadelphia. Eventually, Mr. Clark moved to the San Francisco Bay Area and worked for the Federal Government for nearly 30 years. He is now retired. Mr. Clark earned Associate of Arts degrees in African American Studies, Social Science and Liberal Arts from Laney College and Berkeley City (Vista) College, Bachelor of Public Administration and Master of Public Administration degrees from the University of San Francisco. Mr. Clark has been a collector of African and African American art, books, music and memorabilia since the 1970’s with the dream of one-day opening an Arts and Cultural Center/Museum. He has collected African Americans in the military photographs, artifacts, books and posters since the 1980s. He is happy and honored to share his collection with anyone and everyone who wants to learn about the history, culture and contributions that people of African descent have made to America and the world.